Directing someone to your home inevitably involves finding an apt, local landmark, and mapping the way forward from there. This roundabout way is soon going to be a thing of the past. Dubai neighbourhoods now display street names and buildings have their exclusive ‘Makani’ numbers, making navigation a simple process. While sat-navs will benefit from Makani numbers, the delivery boys from neighbhourhood eateries and grocery stores will bank on street names. The thought behind setting up street-names is naturally to ease navigation. “The idea to divide Dubai into District(s) was done primarily to enable residents and visitors locate them as rapid expansion of Dubai with complex road network made navigation extremely difficult and very few residents were able to tell their address precisely. 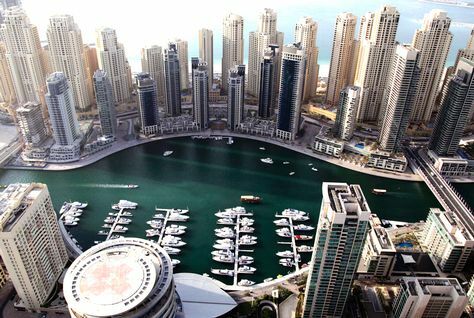 “At present, Dubai has around 150+ communities and this will increase to 200+ soon. “Some cross-roads lead to around 20+ communities. “Displaying names of these communities becomes extremely difficult on guide signs placed in advance of the ramps and turns leading to these cross roads. The official adds, “Approximately 1200+ guide signs that are in accordance with the new Addressing System had been placed on Dubai roads so far. This include both overhead signs and ground mounted signs. Adai informed that the district concept will be used not only by RTA but all government authorities and agencies. According to RTA, in July this year, the first phase of the project included replacing guide signs along E11 (Sheikh Zayed Road) from Abu Dhabi border until Al Garhoud Bridge, Financial Center Road (Upper and Lower Levels) and Bukadra Interchange. The next phase will cover Sheikh Mohammed Bin Zayed, Al Khail Road, main arterial roads connecting Sheikh Zayed Road with these two highways will be implemented. Construction for this is likely to commence by July/August 2016. Subsequent to this, Emirates Road and other arterial roads will be implemented. 7 Communities (Jumeira 3, Umm Suqeim 1, 2, 3 Marsa Dubai, Al Sufouh 1, 2) have been implemented with street names and building numbers as per the new system. An additional 13 newly developed areas are currently being implemented using numbers. Subsequently, newly developed areas will be implemented. Dubai Integrated Addressing System has numerous physical as well as economic benefits for motoring as well as non-motoring public. 1. Division of Dubai into districts assist residents/visitors in locating themselves physically in Dubai. Cardinal directions (North-South-East-West) on guide signs help an individual orient themselves on the network and align themselves in the direction they need to proceed in order to reach their destination. Display of consistent messages on guide signs in advance of exits enables motorists shift to desired lane(s) and exit safely from the main road. These components help motorists navigate with ease on the complex network. 2. Travel time is reduced significantly as motorists derive guidance from information signs that are provided in a reliable/consistent manner rather than moving in circles to locate an address. This not only reduces fuel costs thereby reducing congestion, pollution, etc. thereby making the road network more efficient, functional and economical. Moreover, reduction in pollution implies improved health. 3. Benefits that can be derived by emergency vehicles (Police, Ambulances, Civil Defense, etc. ), are enormous since they can locate and reach addresses precisely cutting short their response-time. 4. Deliveries can reach their destination easily and faster without any assistance. 5. Addressing System correlate, connect street with the heritage and culture of Dubai. 6. Dubai’s Addressing System reinforces brand identity of Dubai with its newly named Districts, streets, thereby elevating it further as an international tourist and trade hub.